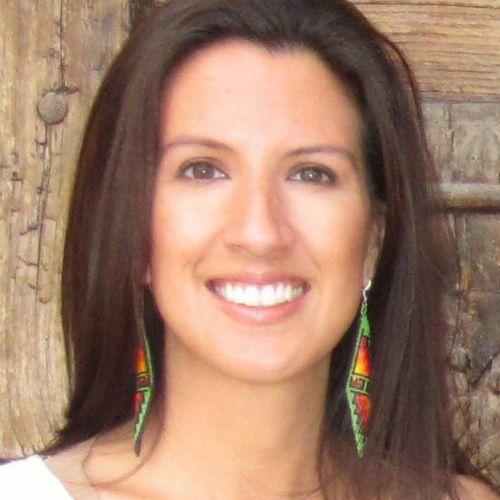 As a Turtle Mountain Chippewa, Dr. Jessica R. Metcalfe is connected to a rich design heritage. A graduate of Dartmouth College and the University of Arizona, Jessica wrote her doctoral dissertation on Native designers of high fashion (which she’s currently adapting into a book), is the main author of Beyond Buckskin, a web site focused on all topics related to Native American fashion, and is the owner of the Beyond Buckskin Boutique, which promotes and sells Native-made couture, streetwear, jewelry, and accessories. A presenter and lecturer at numerous national conferences, museums and co-curated exhibitions, she’s taught courses in American Indian studies, studio art, art history, and literature at tribal colleges and state universities. Her current work focuses on Native American art, clothing, and design from all time periods, with an emphasis on contemporary artists.